Love is not a feeling, nor an emotion; but it is a commitment. Celebrating monthsary is reminding you the day that you commit yourself from days you were together and the more monthsary to come. 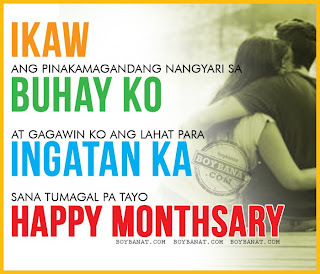 Check out these collection of "Kakakilig" Tagalog Happy Monthsary Quotes and Pinoy Happy Anniversary Messages that you can share with your special someone on your most special days together. Our Love makes us happy. "I may not get to see you as often as I like. But deep in my heart I truly know. and I can't let you go." Iw was afraid to hold you. I was afraid to love you. I'm afraid to lose you. "I'll never let you go. I Love You and Happy Monthsary to you! about what they say. Happy Monthsary Babe!" 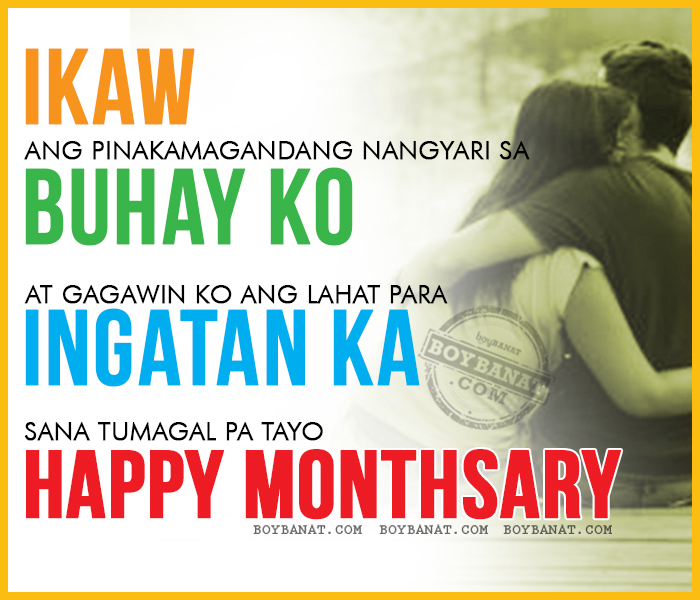 If you have your own favorite Happy Monthsary Quotes, we would love to hear it, simply add a comment below or just email it to us with a subject: monthsary, and will posted up for you. >mahal alam ko marami na aqng ginawang pagkakamali sayo, pero kahit na ganun d mo pinaparamdam sa akin n nagagalit ka. 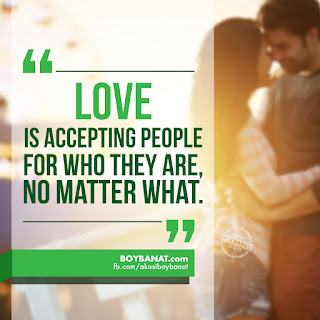 pinapakita mo parin sa akin n mahal n mahal mo aq kahit na kapag minsan nakakasakit na ako. Masaya lang sa simula . Of all the letters in the Alphabet. There's only one letter I love very much. "I'm far from perfect but I'll try to do my best for you. The only way i know how and thats by loving you for who you are!"